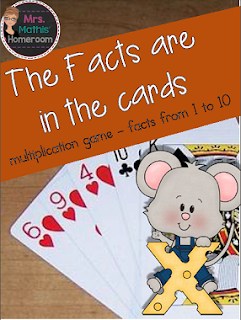 I'm always looking for excuses to get my students practicing their multiplication facts! This is a game that they love to play and beg for me to bring out. Since they love it so much, it's always a favourite (and easy work) to leave with a sub teacher! Grab it now by clicking on the image below and let me know how you like it by leaving me feedback! The French version of this game is also available!